Having a pool in your backyard can quickly go from wonderful to woeful. 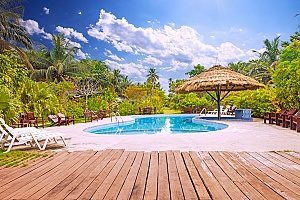 Though a pool can only be used for part of the year in some areas, it requires monthly maintenance to ensure that there is no debris, broken machinery, or an unbalanced level of chemicals. When the pool is in use, it’s important to maintain constant supervision to ensure that children and pets stay safe. The increased liability can also cause your home insurance rates to be higher than necessary. It’s not surprising that many homeowners choose to complete an inground pool removal to replace their pool with everything from an extension of their home to more grass on which to play and relax. Whether your pool is made of concrete, fiberglass, or vinyl, an inground pool removal contractor can help you determine the best way to remove the pool and create more space in your yard. Fiberglass pools are a popular choice amongst homeowners. They are relatively inexpensive and low-maintenance compared to other types of pools, and they are also durable and long lasting. The smooth finish of a fiberglass pool is not only attractive, it also helps prevent algae and other problems from forming on the surface. However, there are several disadvantages to fiberglass. These pools have a high initial cost, and the sizes and shapes of the pool are not customizable. Instead, fiberglass shells are made in standard sizes, shapes, and depths, then installed into a cavity made to fit that shape. Fiberglass can also deteriorate after 10 to 15 years of sun exposure and chemicals. Recoating the surface can be difficult, as the new coating often does not stick effectively to the fiberglass surface. As a result, fiberglass pools can become dangerous, releasing small splinters into the water and potentially injuring swimmers who step on the bottom of the pool. Removing a fiberglass pool can prevent these dangers and keep your family and friends safe from painful injuries. Unlike fiberglass pools, concrete pools can be customized to any shape, size, and depth. They are durable and able to be replastered easily when necessary. Thr are also more options for finishes, including pebble aggregate, plaster, tile, or stone. Concrete pools can often be beautiful additions to a home if you are willing to maintain the upkeep. That maintenance, however, can be extensive. Concrete pools are extremely porous, making them a perfect home for algae that can be difficult to remove once it takes hold. Owners of concrete pools may find it necessary to brush the pool’s entire surface with a steel brush on a weekly basis to remove algae. 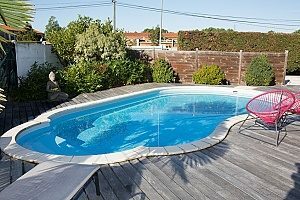 The algae, in combination with the alkaline composition of concrete, require the use of more chemicals than other types of pools and also necessitates professional acid washing every three to five years. Removing a concrete pool can save time and money. Because of the amount of maintenance required, owning a concrete pool is more expensive than owning a fiberglass or vinyl pool. In addition, concrete pools may present additional health risks due to the rough surface and amount of chemicals necessary to keep the water safe for swimming. Vinyl pools consist of a vinyl liner connected to a metal or plastic frame with plastic, steel, or aluminum walls within the pool cavity. These types of pools are popular because they have a low initial cost, and even a customized shape, size, or depth can be cheaper than a concrete or fiberglass pool. Like fiberglass, vinyl deteriorates after years of exposure to chemicals and sunlight, even if they contain fungus and UV inhibitors. Liners can last up to nine years and cost up to $4,000 to replace each time, making vinyl pools a costly investment that will have to be carefully planned around each decade. The warranties on these liners are often not comprehensive enough to truly cover damages. For example, many warranties only cover the seams of the liner where materials are attached and do not cover any labor, water, or other expenses. Warranties also tend to be prorated, meaning that even on a 20-year warranty you may only receive reimbursement for repairs needed within the first few years of purchasing the new liner. In addition to the liner costs, vinyl pools can promote algae growth, requiring extra cleaning and chemicals. Removing a vinyl pool can therefore be a better one-time investment than replacing and maintaining one for decades to come. Most pools require more time, energy, money, and maintenance than many homeowners are willing to commit to during their time in their homes. Removing a pool, while sometimes expensive, can ultimately save them both time and money in the future while making their yards safer for their friends and family members. Once an inground pool removal occurs, homeowners have many more options for how they would like to use their backyard. The new space can be used for gardening, building sheds or home additions, building a deck or patio, or creating space for children and pets to play with minimal danger. If your pool is no longer being used as often as it once was, or if the time and money required to maintain it are becoming prohibitive, it may be time to consider removing the pool to revitalize your yard and save you the stress of continuing to maintain the pool. 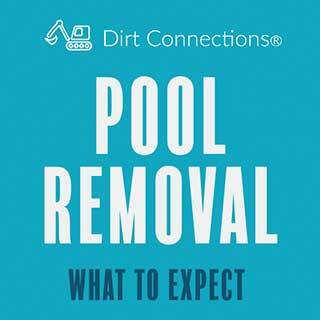 Speak with a reputable inground pool removal contractor to schedule a pool removal. 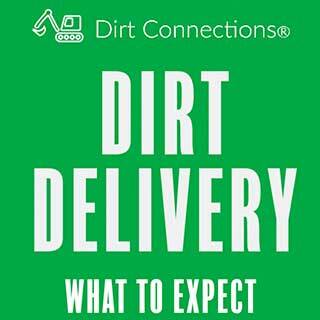 Dirt Connections has years of experience with helping homeowners in the Northern Virginia area remove their pools to create more space for building extensions, gardens, patios, and more. The firm provides free estimates for every project and can complete most pool removals within one week. 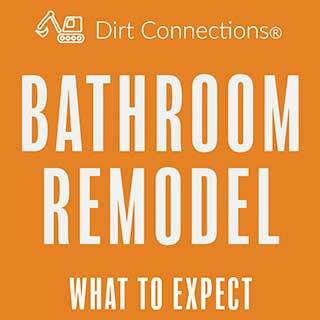 Dirt Connections offers partial and full pool removals and can work with homeowners to determine the best type of removal for their budget, timeline, and backyard goals to ensure that the project is completed to perfectly meet each homeowner’s needs.